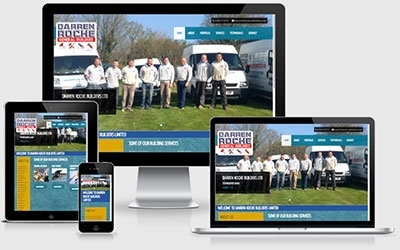 Darren Roche Builders had a very old website that was in dire need of modernising and becoming responsive. We created a very vibrant looking application that reflects the friendly nature of the Darren Roche Team. Not only do they benefit from a mobile friendly website, but it's another one of our Bespoke CMS deloyments, so they can control the majority of content courtesy of the easy to use admin panel.